Established in 1998, specializing in the production of precision carbide end mills, inserts, and other tungsten carbide steel cutting tools. Speed Tiger cutting tools tolerance indication entered the nanometer level precision. The world's highest precision size, ±2μm in faith value, enables the user to thoroughly grasp the cutting tool's cutting quality. Professional Coating Facilities & Technology - SPEED TIGER has own coating dep. ION-BOND and Platit which has the ability to develop specialized coating based on the customer's processing requests. Identity Number - Speed Tiger built the End Mills Traceability System in order to ensure the accountability of each process' participants. 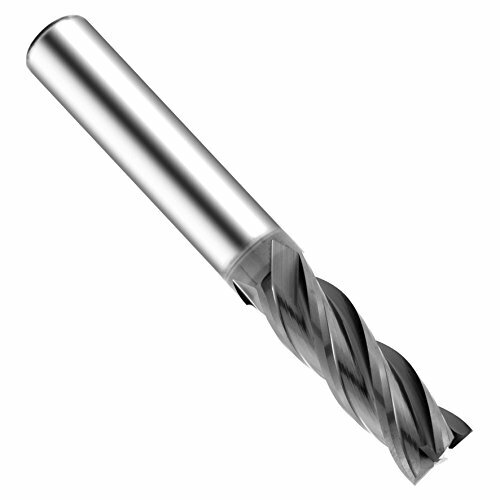 Each end mill has its own identity number on its shank. DIFFERENT SIZES - 4 flutes, 1/16" 5/64" 3/32" 7/64" 1/8" 3/16" 1/4" 5/16" 3/8" 1/2" 5/8"
If you have any questions about this product by SPEED TIGER, contact us by completing and submitting the form below. If you are looking for a specif part number, please include it with your message.